Hawthorn Hawks: $21.00 – Are the Hawks worth a bet for the flag? 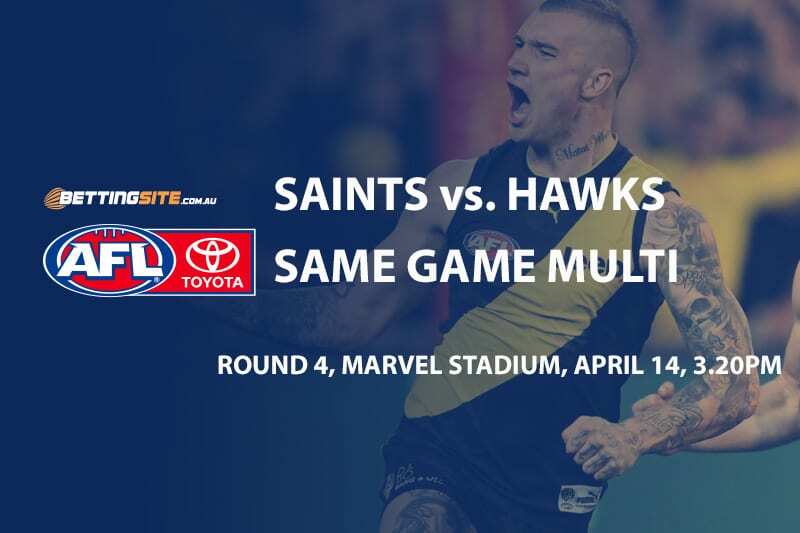 Hawthorn and St Kilda, two sides who have had their fair share of thrillers in the last few years, will meet again at Marvel Stadium this Sunday in vital match for both clubs. 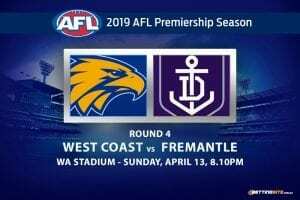 Hawthorn played brilliantly in the opening round, but watched a healthy three-quarter time lead disintegrate against the Western Bulldogs due in round two due to undisciplined free kicks. The Hawks then bounced back and beat the Kangaroos at the MCG, proving they’re still in the finals picture. St Kilda fans have reason to be optimistic about the Saints’ start to the year. 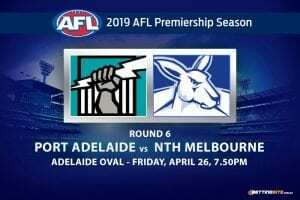 The young talent has shown some promise and the group is playing with more intensity and passion after a dismal 2018 campaign. Jack Steven is a chance to play in this match — he has been named on the extended bench, but could still miss the important clash with personal issues. The Hawks have to play without Shaun Burgoyne and Liam Shiels, both struck down with hamstrings. 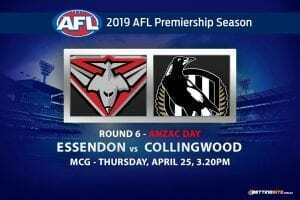 Sunday footy is always our day to make a same-game multi, and after nailing an $11 tip last week, this match’s multi could be our second consecutive winner. 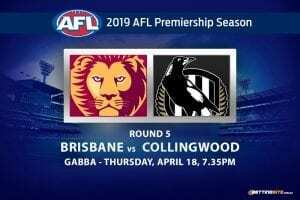 Hawthorn proved last week that it can win without some important experience, which looked a bit unlikely when Jarrod Roughead was a late change. The Saints are going to be underdone as they have plenty of younger players that are adapting to senior level, including Hunter Clark, who is developing nicely in his second season. 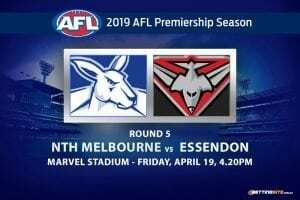 Total match points will be high in this match as the closed roof at Marvel Stadium will provide perfect conditions for football. 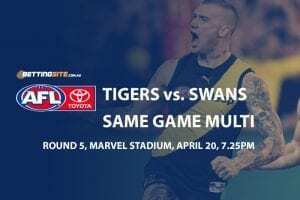 Stars like Luke Breust and Jack Gunston have strong form at Marvel and will provide match-up problems for the Saints’ defence. Jack Billings has finally started to look like he belongs at AFL level, as the game has slowed down for him in the past fortnight. Last week, Billings found the footy 32 times and kicked two impressive clutch goals. Chad Wingard couldn’t have been better in his first game in his new colours, slotting three clever goals. If the Saints target Luke Breust as the most dangerous forward, Wingard will destroy them, as he needs to have the best possible defender at all times, which for the Saints, may not be enough to stop him. The great intercept defender, James Sicily, was fantastic against the Kangaroos last week with 22 disposals, which is his average for the season so far. One problem that the Saints have to work on is inside 50 entries, as they mostly turn the ball over with high kicks to disadvantage. If the Saints blaze away in this match, it will be a field day for James Sicily.